When it comes time to choose where to attend college, there are counselors and guides and catalogues and ratings – plenty of tools to helps students select the institution that best fits their needs. But despite the fact that online education has come a long way — Udemy and Coursera are but two examples of an exploding number of options for learning online — we still don’t have guidance counselors for online learning. That was before Tubecourse stepped up to the chalkboard. 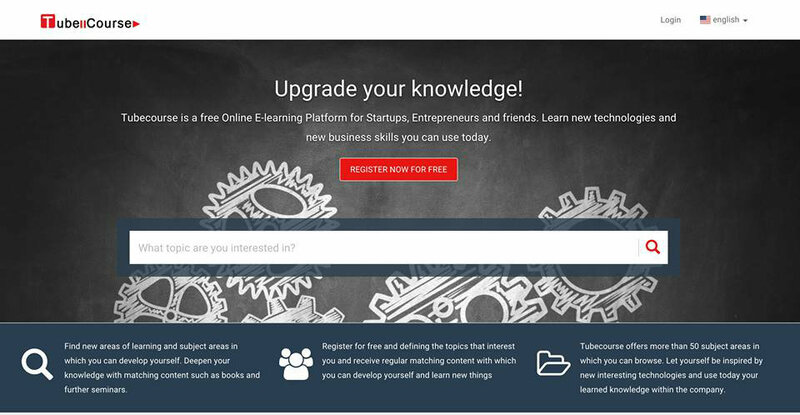 Tubecourse is a recommendation engine for finding online courses that fit your interests and preferences. Let’s be real: when you’re ready take online courses, you want to spend your time learning and not researching what courses you should take. That’s where Tubecourse can save you lots of time – and ensure you set out on the right path. Set up an account quickly on Tubecourse and input the content you’re interested in learning. Tubecourse will use its algorithm to take things from there, finding existing online courses that cover the subject matters you need covered, that fit with your schedule. Rating courses allows Tubecourse to continue alerting you to other available courses that suit your learning agenda. The platform is assisting both beginning learners and those looking to build upon their skills with seminars and courses appropriate for each learner’s level. And they’re already pointing students toward the right courses in over fifty subject areas. Those looking to break into the rapidly changing tech scene will especially appreciate the concentration of offerings that target opportunities to learn more about design, marketing, computer science, programming, entrepreneurship and business management – to name just a few areas extensively canvased. Another aspect of Tubecourse that makes it an attractive resource is that it’s unaffiliated with any institutions or educational companies, which means that recommendations are untainted by associations. You can trust that it’s directing you toward the best courses for YOU and not a third-party’s bankroll. Oh, and did I mention that it’s free?? So why wouldn’t you do yourself the favor of cutting down on your search time when you’re looking for online courses? Use Tubecourse to find the perfect learning materials and to receive weekly updates about course offerings. What are you waiting for?